Welcome to 7053 kings manor dr. Spacious townhouse in the mews. 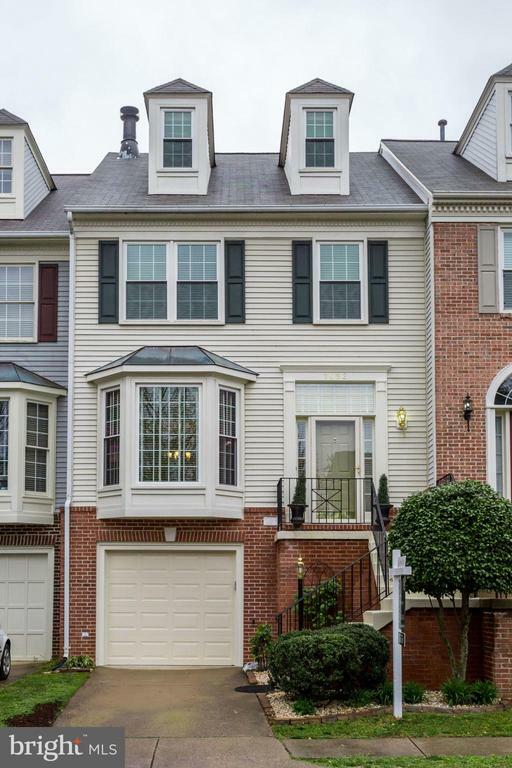 Private quiet neighborhood nestled in kingstowne area of alexandria. 3 bedrooms and 2. 5 baths. Hardwood floors on the main level with fabulous deck overlooking fenced in yard and patio. Granite and stainless appliances in the eat in kitchen. Upstairs has three bedroom. The master has a private loft with fireplace. Walk in closets and upgraded master bath with frameless shower doors. 2 more bedrooms as well. The basement has a walk out family room to the private yard and an additional gas fireplace. Laundry room and extra storage just off the garage. Another space in the driveway and extra parking just out front. Wonderful place to call home. Must see to believe. Walk to kingstowne town center and enjoy shopping, movies and restaurants. Minutes to old town alexandria. Very convenient to springfield metro, 495, 95 and 395. Fairfax county connector within a block. Commuters dream to belvoir, mark center, the pentagon and even tyson's corner. New energy efficient windows in 2015, new insulated garage door in 2018, new two zone hvac, new hardwood flooring installed in 2017, new smoke detectors in 2019, painted in 2019.